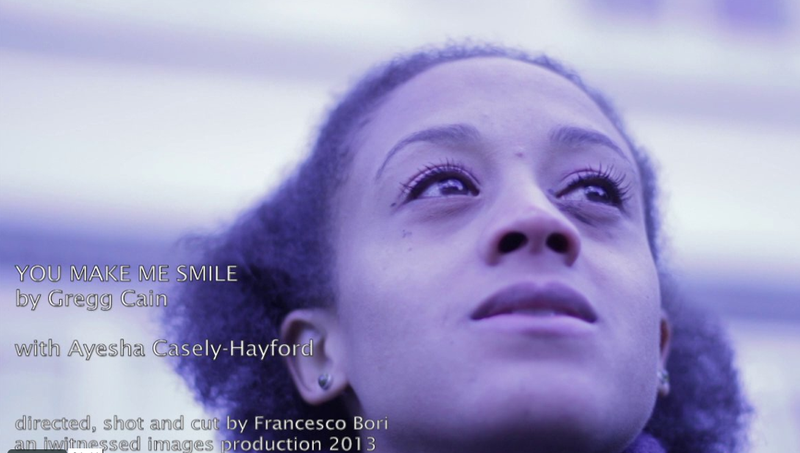 We shot this music video in around three hours, just me and the camera man/director Francesco Bori. The song “You Make Me Smile” was written by Gregg Cain but the singer is anonymous, which is a shame as it’s beautiful. The idea of the film is that there is a memory…that carries the character through and strengthens her when she feels like she’s starting to fall apart. I was involved in this shoot very last minute, as in called the night before. I got a spot on my head right in the middle of my forehead between the eyes, which I could not get rid of so here it is captured for all time on this video- great. Vanity aside, it was interesting to create this film, going through daily motions slightly disconnected but having the memory to bring back some hope. I loved working with Francesco – he is really open and passionate. It was a relaxed intimate shoot and we got a spot done in a spot space of time. 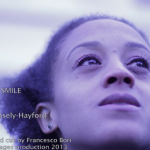 GREGG CAIN: “YOU MAKE ME SMILE” from Francesco Bori Camera Operator on Vimeo.